Climate change adaptation is increasingly recognized as complementary part to climate change mitigation. Climate change affects sea level, the extent of flood prone areas and precipitation patterns among many others. To adapt to these changes, the tasks of municipalities and cities are to implement policies and strategies for changes in land use and coastal management as part of their future development. It is of vital importance to address the uncertainties of climate change scenarios when proposing adaptation measures that are socially viable and economically reasonable. The decision making process, promoted here, is based on scientific excellence as well on an integrated communication process. This book provides a comprehensive overview of key elements required for effective analysis and assessment of climate change impacts, economic cost-benefit analysis, communication processes and creation and transfer of knowledge, governance issues and implementation of related policies. It describes the results achieved by the BaltCICA (www.baltcica.org) project whose contributors come from the scientific and public administration communities. The regional cooperation has led to the implementation of climate change adaptation in several case studies. The BaltCICA project developed concepts, methodologies and tools for climate change adaptation that can be translated across other global regions. 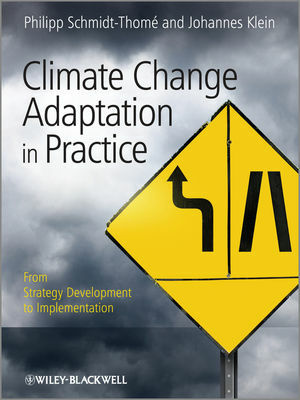 Scientists and students working on the development of climate change and adaptation strategies; public administrators in the related fields on local, regional and state level including environment, water management, civil defense; as well as professionals working with adaptation technologies, including engineering, technological solutions, urban planning agencies and construction, will value this innovative book.